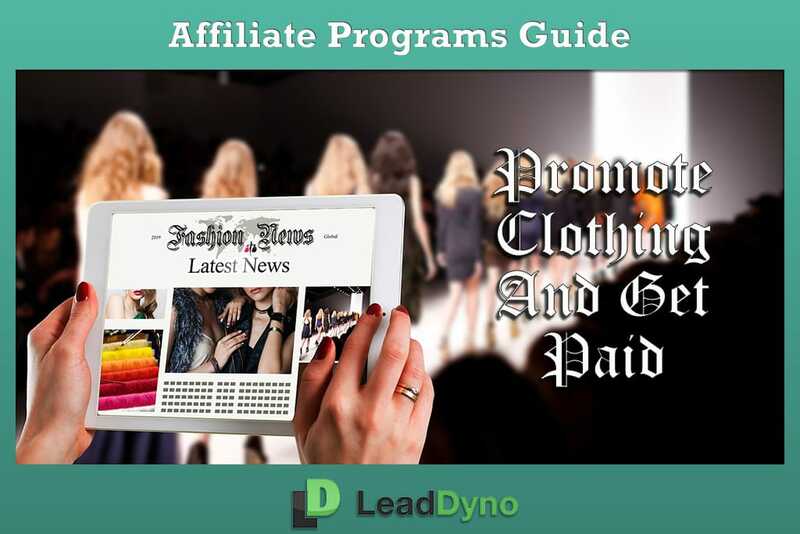 Our content team, here at LeadDyno, have compiled a useful guide that offers 12 of the latest clothing affiliate programs that you can register with today. A quick briefing about the apparel you will be promoting. The commission rate that you can expect to receive for your marketing efforts. A link to the company’s official website so you can learn more about the business and their products. And most importantly, a link that will direct you straight to the affiliate signup page. Before we dive right in there – we would like to point out that is you wish to explore event more clothing related affiliate programs – then you can click on this link. But first, stick around and read through this affiliate guide, then come back to that link later. Now let’s take a look at these clothing affiliate programs in more detail. When life feels a little dull, whip on some fun colors and prints to bring out your happy spirit. Leggings from Keense’s Clothing will give you a good dose of happiness. 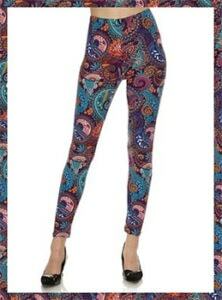 Turn on your vivacity with these trendy leggings in the most stimulating prints. You’ll find prints that include cartoon art, cactus, teacups, floral, lemons, red lips, pineapple, and my favorite: whimsical ice cream leggings. Fun leggings don’t get any better than these! So go on, grab yourself a pair and put your happy on. Shop the sale on Keense’s Clothing and get leggings from $16. Affiliates get paid a commission of 25-30% on sales. Apply here to become an affiliate of Keense’s Clothing. Dress Sharp is the place where whether you’re a man or a woman, you’ll leave with gorgeous fashionable clothing. Attractively sharp is an understatement. Ladies, you won’t find a shortage of stunning dresses, heels, jewelry, bags and more. 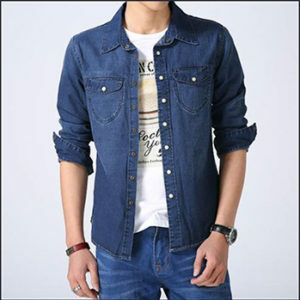 And as for the gents, the stunning range of denim shirts caught my eye. Any man would look fresh and smoking hot in these. Finish your sharp look with designer bamboo sunglasses. All at massive discounts you don’t want to miss. As an affiliate, you get paid a healthy commission of 15% on every sale. Apply here to become an affiliate of Dress Sharp. Does the fashionista spirit in you longs for the perfect rip in your jeans or the perfect figure-hugging denim dress that flaunts your curves with head-turning hotness? Then 81Supreme will fulfill your fashion fantasies with pleasure! 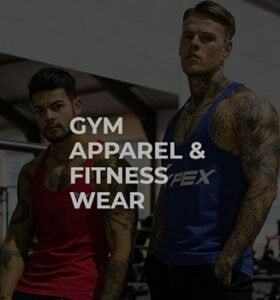 Get premium trendy apparel for men and women – from daring bodysuits for the ladies to slim-fitting muscle-hugging hoodies for men. Most of the items cost less than 50 bucks. 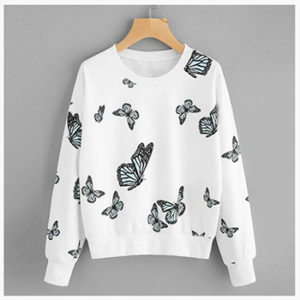 If you want to get paid to promote trendy clothing, then apply now to become an affiliate of 81Supreme and start earning a 10% commission on sales. Promote these activewear products and make a commission of 10% on each sale. But first, make sure you register as an affiliate of Vypex. You could have no fashion sense whatsoever, but throw on a leather jacket and you’ll instantly rock a style! A leather jacket will look good with everything, great in all seasons and it is timeless – it will last forever. Fad Closet has a large range of quality leather jackets for men and women in various styles and colors. In case you needed an extra reason to shop, they’re currently running a massive sale – 60% off leather jackets. OMG! You’ll pinch yourself if you miss this one. And how about earning a quality commission of 18% on sales? Just make sure that you sign up to the Fad Closet affiliate program to initiate the process. Next up, how about we get paid to promote clothing that is not only trendy but also affordable. Ladies, how do you dress pretty? Does looking pretty mean wearing a dress? But what if you’re not a dress kinda person? That’s ok, ‘cause I’m about to make it simple for you. If you instantly want to transform an ordinary look into pretty, wear a splash of floral prints – any pretty prints will do actually. And at Friendly Emu, finding pretty fashion in amazing prints is a pleasure. Whether you’re dressing up or down, you’ll find trendy fashion at affordable prices. Affiliates earn a commission of 20% on sales. Apply here to become an affiliate of Friendly Emu. Women often feel insecure about their bodies, and swimwear often exposes such insecurities. But life will teach you that it’s your confidence that shines through your body – that’s what’s really attractive. Even for curvy plus size women. And at Curvy Fox, plus size women can be empowered with bold and vibrant swimwear. These stunning swimwear pieces will make any plus size women look and feel amazing. The Curvy Fox affiliate program offers a 25% commission on every sale made. So surely this is a great program to join to get paid to promote clothing, right? It takes a little effort to find exactly what you’re looking for especially if you’re on a clothing search for a special occasion. Like finding the perfect badass biker jacket for your man is a mission, unless you shop at Treasure Shop. You’ll discover great fashion finds for men, women, and kids. Ladies, for your next formal event, a stunning chiffon dress awaits you at Treasure Shop. There are also cute formal outfits for the kiddies too. Save yourself from time-consuming searches for the perfect outfit and check out Treasure Shop. Affiliates – how about taking home treasures of your own in the form of 20% commissions? If this interests you, then apply here to become affiliated with Treasure Shop. Does 1950’s unique rock & roll fashion inspire you? Then the BeeBopaLoo shop will help dress you up in classic rockabilly dresses and outfits. Shopping here will be quite an exciting experience because they have a huge collection of everything. And as for the affiliate program – let the rock and roller inside of you loose! Sign up to become an affiliate of BeeBopaLoo, so you can start to get paid to promote clothing inspired by Rockabillies. Finding a gift for the average adult is tricky, especially when you’re unsure of what they like or need. But you can never go wrong with humor. So go on and spread happiness by checking out LaughterLOGIC. From tees to hoodies, for both men and women, in hilarious prints. There is nothing that will create awesome fun vibes than apparel from LaughterLOGIC. The awesomeness gets better because they offer free shipping on U.S orders. And for more laughter on the way to the bank – affiliates have the opportunity to earn a commission of 15% on sales. So to get paid to promote clothing from LaughterLOGIC, simply fill in the affiliate sign-up form. 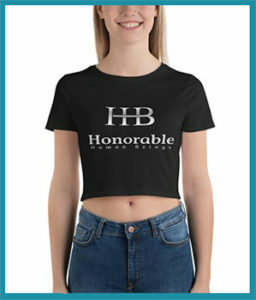 If clothing trends and brands excite you, then you’ll love HHB Clothing. Men and women will find youthful Honorable Human Beings branded backpacks, tees, hats and more. They’ll make for great gifts – and probably share a little chuckle too. If this sounds like the ideal affiliate program for you, then apply here to start making 10% commission on sales. Last but not least – here’s an opportunity to get paid to promote clothing that is as stylish as the host of Family Feud. Athleisure is the style that describes sportswear worn fashionably, but, guess what? It’s not only for the gym. Wear it for work or dinner too. Yup, you’ll still look great! The Steve Harvey Collection is inspired by athleisure fashion made for men who want comfort with a fashion edge – much like the TV and radio personality: Steve Harvey. Shop for shirts, pants, and shorts from only $39. This last clothing affiliate program will earn you a commission of 15% on sales. To get started, apply with the Steve Harvey Collection affiliate program. Instead, think of it as the prologue to your affiliate marketing adventures. Register with one of the above affiliate programs and start to get paid to promote clothing. If you’re looking for more guidance in the form of similar blog posts, then you can go and read some of the other clothing related articled we have previously published. For those of you who have your own online store. Thinking about setting up your own affiliate program? Then you can fill in this form to get started.